What Are the Causes of Curled Tomato Plant Leaves? If your tomato plants are producing tomatoes but the edges of the leaves curl upward, this is known as leaf curl or leaf roll. If your plants are not producing, and the leaves are yellowing as well as curling, it may be due to a viral infection. When the leaves curl on a tomato plant, the cause may be due to environmental conditions, a virus or contamination from airborne agricultural chemical application. If your region has been inundated with heavy rains, the garden soil is likely saturated. This excess water causes the leaves to roll upward and inward. This condition is unlikely to affect the production of your plants. Allow the soil to dry out when the rains subside and resume your scheduled watering. The leaves should unfurl. Uneven watering and drought can also result in leaf curl. The leaves in this instant may appear pale in color and feel brittle. Mulch around the bottom of the plants and maintain a consistent watering schedule. Insects, such as whitefly, transmit tomato yellow leaf curl virus. This virus is seen in young, newly planted tomato plants and is common to greenhouse crops, less so in outdoor crops. The virus causes stunted growth in plant height and leaf size, as well as leaf curl. The outer edges are yellow and the leaves crumble to the touch. Avoid attracting whitefly by using row covers on young plants and rotate your crops seasonally. Destroy any plants that are infected with tomato yellow leaf curl. Drifting contaminants, in particular herbicides, may result in leaf curl. Herbicides are not necessarily discriminating, and if your neighbor sprays his lawn or garden with an herbicide on a windy day, your tomato plants, and his, may be adversely affected. Though the herbicide may not kill the tomato plants, the leaves are sensitive to it, just as someone may be sensitive to certain detergents or skin lotions. In reaction to the exposure, the leaves curl upward and inward. 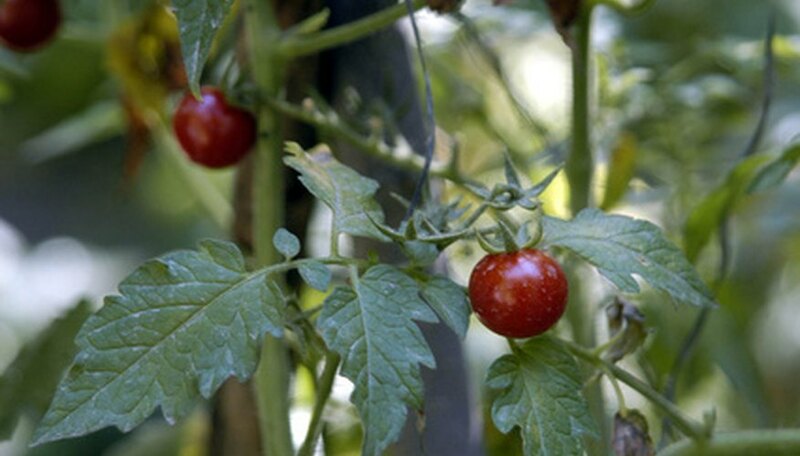 Spray your tomato plants with a gentle spray and continue to monitor them. If the leaves unfurl and the plant remains healthy until the next time your neighbor sprays for weeds, you’ll know the leaf curl is caused by airborne contaminants.